The Air Force is developing a business case analysis for the further exploration of all options to increase their pool of trained pilots via CUPT (Contract Undergraduate Pilot Training Support). 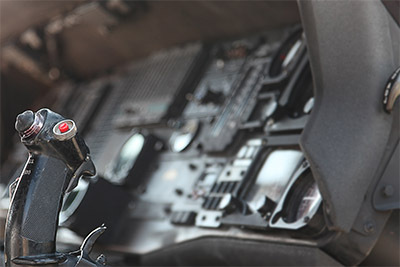 The contractor’s instructor pilots will not require FAA certs; however, they must meet the USAF’s and contractor’s experience requirements, complete the contractor’s new-hire program and take a check-ride based on USAF requirements. The contractor will cover the required training (SOF, RSU, Ops Supervisor, etc.) before the flight training is kicked-off. The start date of student training will be coordinated and identified in the contract terms. The contractor can utilize previously qualified military instructors who flew the T-6/T-38 or equivalent aircraft (approved by the Chief COR) or instructors who have been qualified/requalified in the contractor’s T-6/T-38 instructor upgrade training program, which must meet the standards of AFI11-202V1 and be approved by the Chief COR. The current CUPT plan is to begin the T-6 operations in June 2020 and T-38 operations in December 2020, ramping up to 100 pilots per year. The contractor will be responsible for providing Aircraft Flight Equipment (AFE) techs to service the equipment. The government will provide the AFE (helmets, G-Suits, etc.) and will cover the altitude chamber training. The contractor will handle recurring egress training. The initial egress training plan is currently under development. The other UPT bases will produce students who meet the course training standards. Future successful innovations will be incorporated into the syllabuses used at other UPT bases and into the syllabuses used at the CUPT location. Per current requirements, the contractor will provide a flight surgeon and the government will provide an independent medical technician. The Aircraft Systems Program Office requires phases every 300 hours for the T-6 and every 450 hours for the T-38. Aircraft fuel and delivery will be provided by the contractor. The payment process is not finalized but will likely be aircraft Aviation Into-Plane Reimbursement (AIR) Cards. Per the latest Q&A document, the government is currently considering many options for potential locations, and the contract type or single versus multiple award has not been determined. The total contract period being considered is ten years, and the base and/or option periods have not yet been determined. Analyst Update 01/28/2019: T SQUARE LOGISTICS SERVICES CORPORATION, under contract # FA302007C0007 has had several task orders pertaining to the UNDERGRADUATE PILOT TRAINING (UPT) MISSION and T-38 aircraft. M1 SUPPORT SERVICES, L.P. is the only other reported (most recent) contractor with the very same activity under their contract with the Air Force as well, under contract # FA300216C0006. Additional intel about the M1 Support Services awardee contract- covered “This requirement involves providing mission support for the 80th Flying Training Wing (FTW) located at Sheppard AFB, TX. The 80 FTW is a multi-national Wing which includes members of the North Atlantic Treaty Organization (NATO). This multi-national organization is made up of 13 nations that comprise the Euro-NATO Joint Jet Pilot Training (ENJJPT) Program. 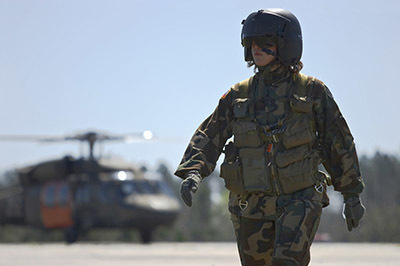 The ENJJPT program, established in the spirit of NATO, is the world’s only multi-nationally manned and managed flying training program chartered to produce combat pilots for the NATO alliance. The Wing utilizes a total of 201 aircraft (77 T-6A, 92 T-38C UPT and 32 T-38C IFF) to train up to 256 student pilots, 110 instructor pilots, and 145 Introduction to Fighter Fundamentals (IFF) trainees annually. There are approximately 62,000 hours flown annually, with over 300 flights daily. To read further information regarding the CUPT opportunity including additional analyst updates, please visit this page if you are a current EZGovOpps subscriber or start a free trial to continue tracking this opportunity as well as millions of other solicitations and Pre-Forecasted RFPs.